The North Westside Communities Association has purchased and installed a solar powered street light at Westside Road and Udell Road in Killiney Beach. Their Newsletter to the community has names and pictures thanking those directly involved. 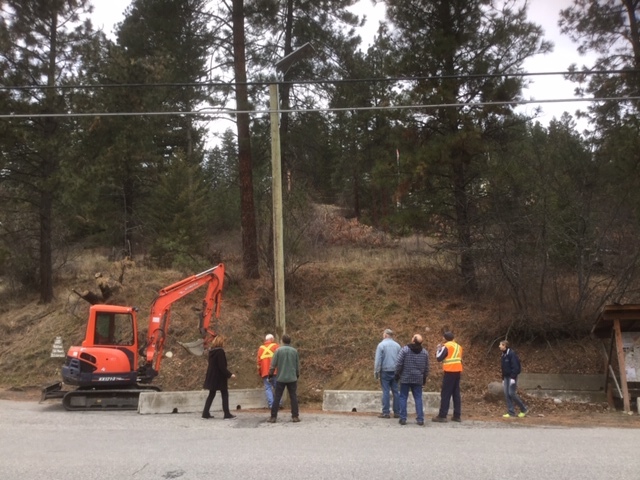 This is a project the NWCA has been working on for several years and was unable to get support and follow up action from the RDCO without legislative (service area bylaw required) and taxation (to pay for a hydro connection) hurdles to overcome. 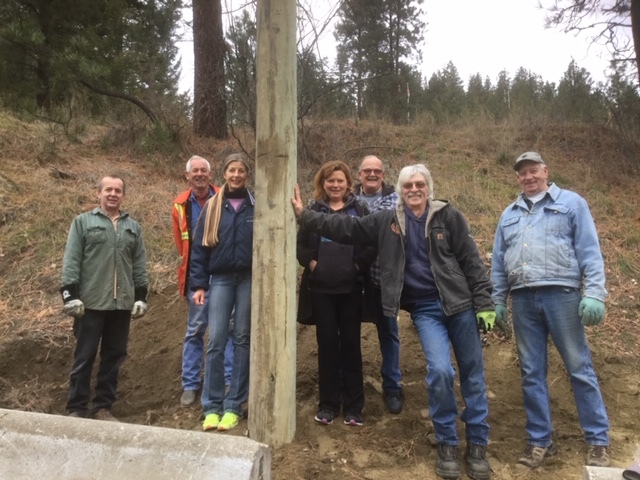 When the NWCA Board of Directors determined that the light would not happen through the RDCO they took matters into their own hands and got a pole donated by the contractors doing the Killiney Beach Water System upgrade. Funds for the light were NWCA funds through membership, community donations and fundraising events. They purchased the light, mounted it on the pole, got MOTI permission for placement and arranged and managed the installation. This is just another example of the North Westside Community residents coming together to enhance the livability of our community. This project is another in a long list of community projects successfully completed over the years. Other projects, such as the construction of the Shorts Creek Fire Hall, Notice Boards and bus stops for the different communities within the North Westside, the boat launch in Killiney Beach, ID signage for the different areas and many more have shown us what can be accomplished when people come together. Good on you all for these currant and all future projects; they have helped turn the North Westside from a part of an “unincorporated electoral area” into a real community, keep it up.